Please call owner Chuck at 817-233-7359. 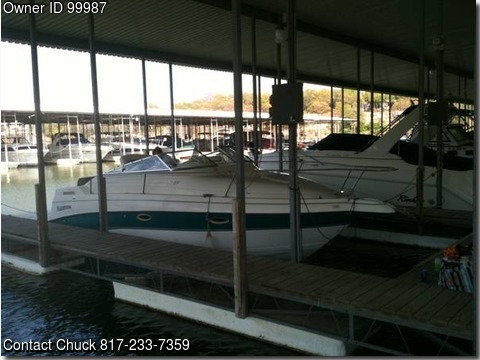 Boat is on Eagle Mountain Lake in Fort Worth, Texas. 1998 Glastron GS249, MC I/O, Volvo-Penta 5.0. Nice cabin with restroom and sink. In a boat slip at Lake Country Marina on Eagle Mountain Lake. The slip at Lake Country Marina is paid in full through April 2016. It is at the very end of H Dock the last slip. I have skis, life jackets fishing rods and an AC unit available also.